Salesforce.com is going public with plans for a long awaited European data centre as part of an agreement with NTT Europe. The facility will be located at Slough, England, and is scheduled for completion in 2014. It will be the cloud computing company's sixth, joining four in North America and one in Singapore. Speaking at the Salesforce.com summit in London, company representatives said the decision has been prompted partly by the demand from many European companies that their data is stored within Europe to comply with EU regulations. Steve Garnett, EMEA Chairman, said: "Certain regulatory requirements prevent us from addressing certain input levels, and this has limited us in providing our services to some organisations." 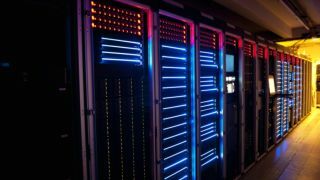 He cited UK government as an example, but made clear the data centre will be open to private sector firms of all sizes. Garnett said the decision to partner with NTT Europe - which provides cloud networks, an internet backbone and related IT solutions – was based on it being "the best fit" for Salesforce.com in Europe. In a statement, Chairman and CEO Marc Benioff said the move reflects the fact that Europe is the fastest growing market for the company, accounting for 38% of its revenue growth in 2013. Salesforce.com also cited a forecast from analyst house IDC that Europe's public cloud software market will grow three times faster than other IT segments at 30% per year to reach €23.9 billion (£20.2 billion) by 2017. In recent days the company has also announced the launch of the Salesforce Communities service to integrate business data and social software, Salesforce Social.com for social advertising, and a €5 million (£4.2 million) Innovation Challenge to encourage the development of new business apps on its platform.